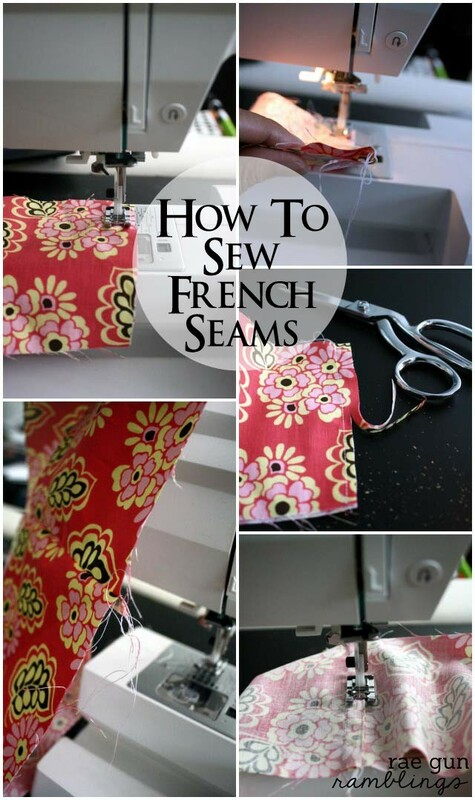 If you sew you should know how to make a French Seam. 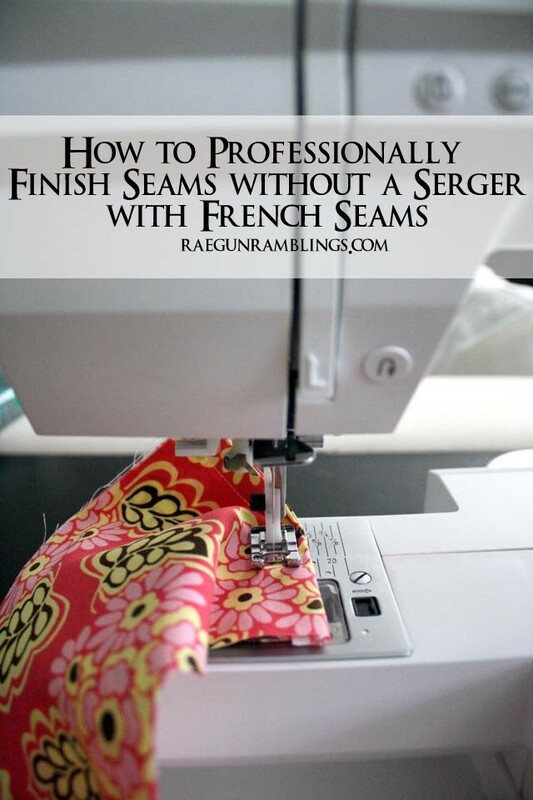 Even if you have a serger or another way of finishing your seams French seams are great when working with sheer fabrics or when you want your seams to be a little stronger. In a French seam you enclose the raw edges and get a nice clean finish. It’s a really simple technique but I’ve found that people some times need to be walked through it so let’s do that. 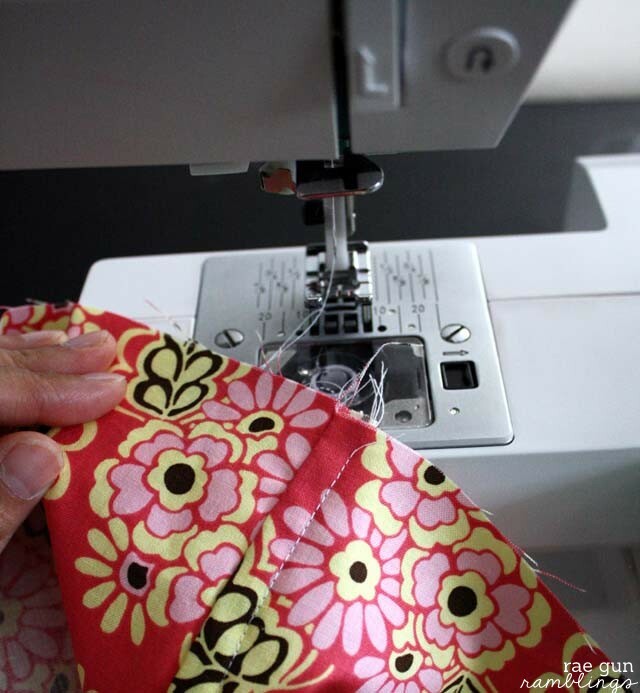 Start with your fabric wrongs sides together and sew a basic seam if you don’t have a seam allowance your following 3/8 or 5/8 of an inch works fine. 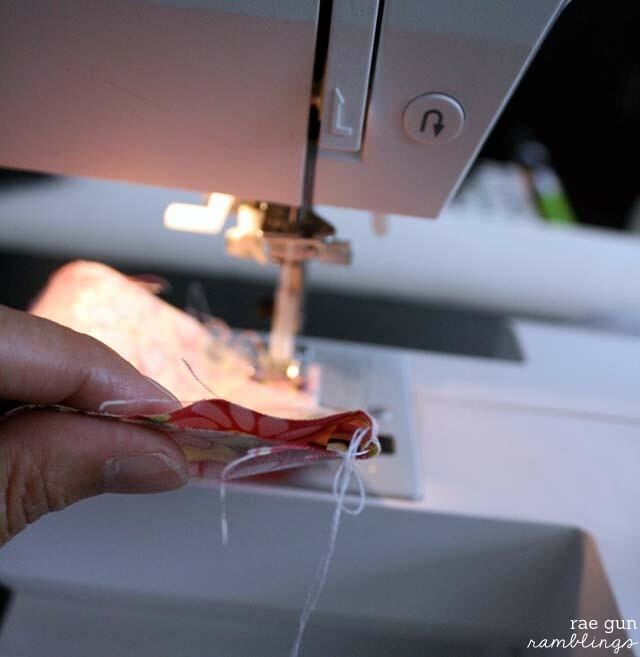 Trim your seam down to 1/4 of an inch. 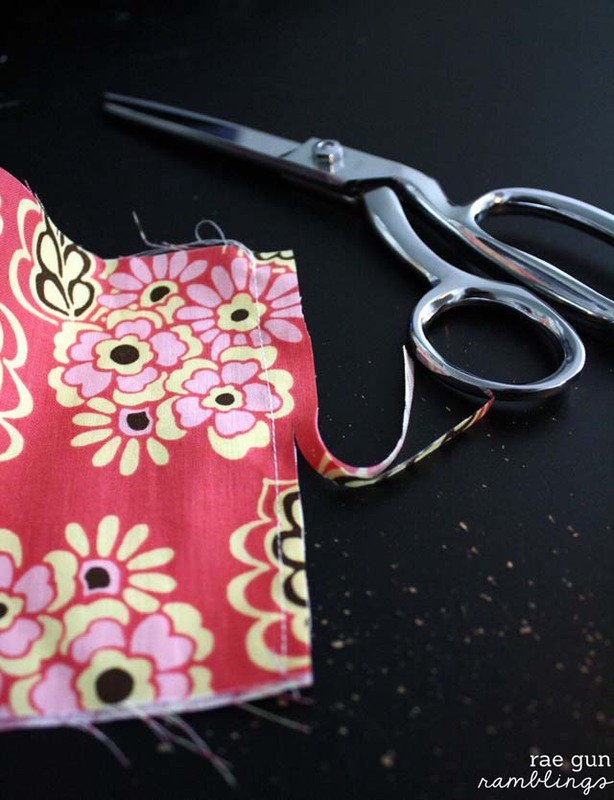 Open up your fabric and fold it over the raw edges that you just trimmed. It’s best to iron at this step but if you are in a rush just “finger press” or smooth it out with your finger. See how the raw edges are sandwiched? Finally sew down encasing the raw edges in this seam (use the same seam allowance you used in step 1). That’s your basic French seam. 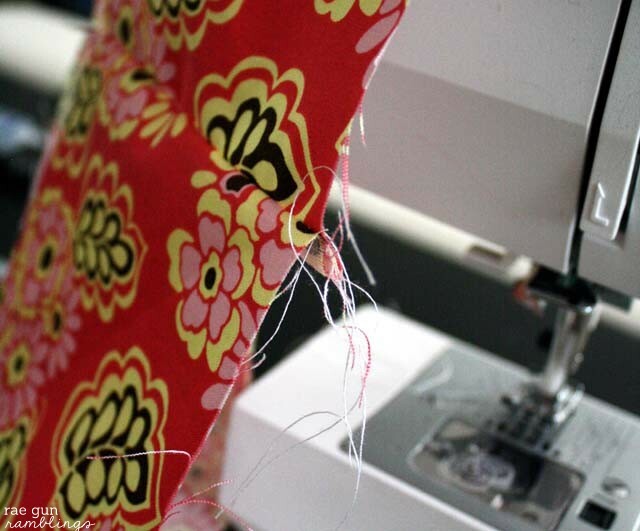 You’ll want to make sure to iron it down before continuing on the next step of your project. Do you want to see it all in one place? Here you go. Some times I like to sew down the flap that was made in the French seam like I did in my Pouch Sling and Moby Carrier tutorials. Thanks so much Anne you’re the best! Great tutorial!!! I need to pull out my sewing machine to chorine some pillowcases! this is just what I needed! I want to learn how to sew. This is a great tutorial. When I sew French seams, I start with wrong sides together. Then when you sew again, with right sides together the encased seam allowance is on the inside. Oh my gosh Marsha I can’t believe I did that. Ugg that’s what you call sleep deprevation. Just fixed that thanks for pointing it out. 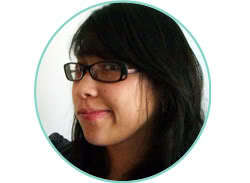 i added this link to my blog too. Thank you for this tutorial! I guess that, when cutting the fabric, you should add twice your normal seam allowance to get a French seam?